The history of sunscreens is quite fascinating, from very ancient times where there is evidence of people having used plants for sun protection, to the current plethora of sunscreens available today. Understanding some of this history has given me context to possibly where the future is headed in the sunscreen world. There is much usage evident in the history of sunscreens within societies such as the Ancient Egyptians as well as the Chinese and Japanese, where pale unblemished skins was considered to be the most attractive. Light skin definitely was considered to be more beautiful than a dark skin. This was no doubt connected to the fact that those people who worked outdoors all day long and therefore deemed to be the working class, obtained a darkened sun-tanned skin. Those that remained predominantly indoors retained a more delicate, pale and refined complexion and thus it became part of a social status and of course, was far more desired. In Japanese society, for the longest time, having a white skin is definitely a feature of beauty and highly regarded by and for women. There is even an old proverb (色の白いは七難隠す iro no shiroi wa shichinan kakusu) - translating into “white skin covers the seven flaws,” meaning "a fair-skinned woman is beautiful even if her features are not attractive". Use of sunscreen can actually be dated back to the ancient Egyptians who created potions to protect and heal their skin from damage, or even skin cancer. They used such things as rice bran, which contains gamma oryzanol, which is today used as an extraction to help absorb UV rays. Carl Wilhelm Scheele demonstrated that paper strips dipped in a silver chloride solution became black after exposure to sunlight. Scheele also showed that the paper strips were affected more by blue light than by red light. Johann Wilhelm Ritter of Germany discovered ultraviolet rays. His experiments were based on the previous work by Scheele. Ritter measured the effects of light below the visible blue, leading to the discovery of the ultraviolet spectrum, which he initially called "infraviolet"
Everard Home, an Englishman, sought to answer why the darker skin of people in hot climates was better protected than the skin of pale people, even though black as a colour absorbed more heat. Home exposed his hands to sunlight after covering one hand with a black cloth. The exposed hand burned, although the covered hand registered a higher temperature. He concluded that the melanin in darker skin absorbed heat and protected the skin. Otto Veiel of Linz, Austria, published one of the first reports of a substance being used to protect skin from ultraviolet rays. He discovered that tannin worked as a kind of sunscreen. However, the staining properties of tannin limited the usefulness of his find. 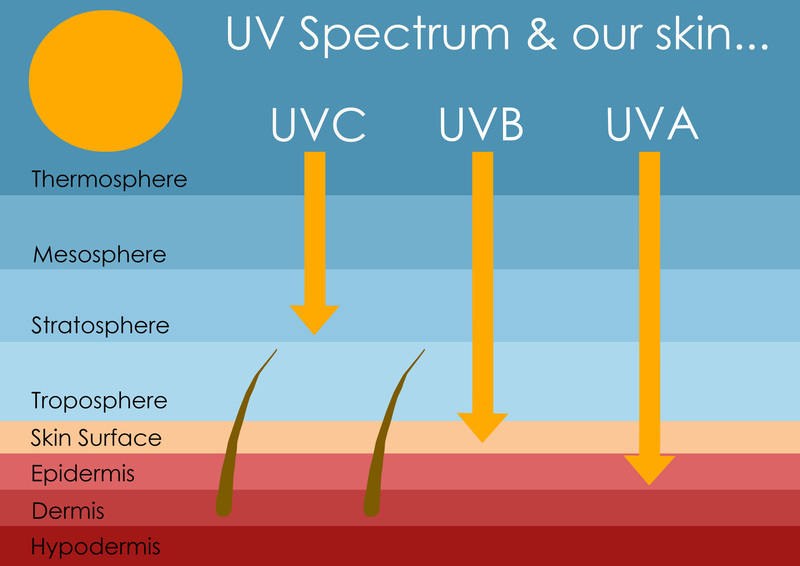 Scientists started to determine the deeper nature of UV light and its effects on the human skin. Karl Eilham Hausser and Wilhelm Vahle investigated the ultraviolet spectrum between 280 and 315 nanometers and reported their sunburn effect on the human skin. They realised that the skin could be protected by filtering out those specific wavelengths, which are the UVB rays. Acknowledged in the history of sunscreens as the first commercially available sunscreen and produced in the United States, it combined the sunscreen filters of PABA benzyl salicylate and benzyl cinnamate. After this, sunscreens started became more freely available, although not widely accepted and used as yet. Milton Blake, a South Australian chemist, experimented unsuccessfully with a sunburn cream. Around the same time, another chemist, Eugene Schueller, was more successful. Schueller, who went on to start L'Oreal, is often credited as the inventor of the modern sunscreen. Others give that honour to Austria's Franz Greiter, who was inspired to create a product named Gletscher Crme (or Glacier Cream) by a sunburn he received while mountain climbing at Piz Buin. A Miami, USA, pharmacist called Benjamin Greene prepared a red jelly-like substance in his home oven. After testing his sticky formula on his own bald head, Greene supplied it to the soldiers in World War II. Known as "red vet pet," the veterinary petroleum-based compound was less effective than today's sunscreens. It also stained fabrics, which made it impractical as a commercial venture. Greene later developed a more consumer-friendly formula and founded Coppertone. Franz Greiter re-emerged, developing a way to measure a product's ability to block ultraviolet rays, known globally as the Sun Protection Factor, or SPF. Soon afterward, sun protection started to become big business, with several companies profiting from providing various levels of protection. What's Beyond this History of Sunscreens? The effect of the UVA rays on the skin was still being debated in 1989. Today, UVA damage is recognized as a primary contributor to both premature aging skin as well as the dreaded malignant melanoma. It is otherwise identified as broad-spectrum protection on sunscreen labels. In both of the above examples, a powerful antioxidant receiving great attention is astaxanthin, which is found in sea algae. Astaxanthin is considered the most effective or powerful protection against free radicals found to date in nature. Astaxanthin is an antioxidant that also reduces the pain and swelling associated with sunburn. Astaxanthin pills, when used with other measures, effectively protects against the sun's ultraviolet rays. sunscreen food in a supplement? Besides such powerful antioxidants as astaxanthin, there are many botanical ingredients being considered as solar protective agents in their own right. 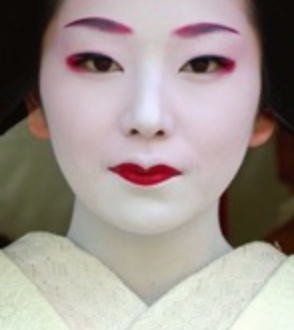 Culturally, a history of sunscreens has shown their use amongst different people in various parts of the world. I look forward to seeing many more of these such plants being deployed in the next advances in sun protection. 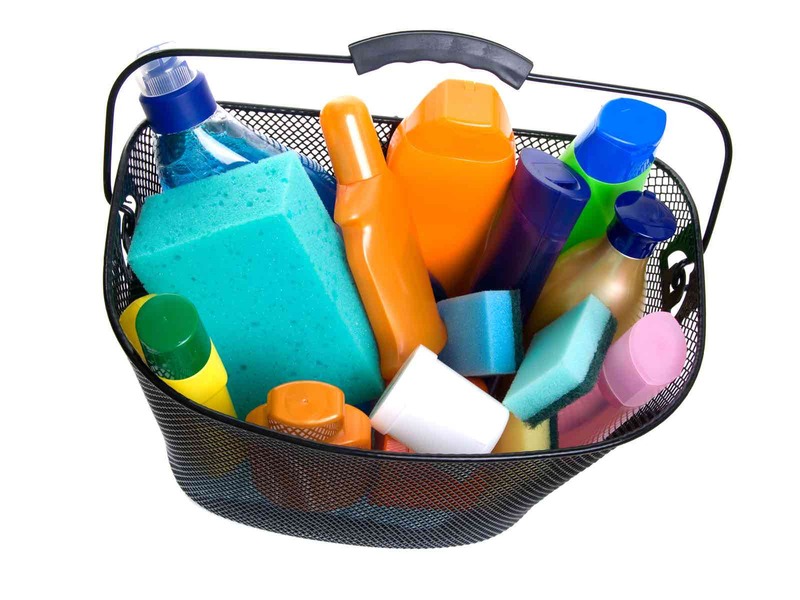 The less synthetic, toxic chemicals the better! Novick, Nelson Lee. 1988. Super Skin. New York, NY: Clarkson N. Potter, Inc.